President Donald Trump's band of "my generals" is disbanding. 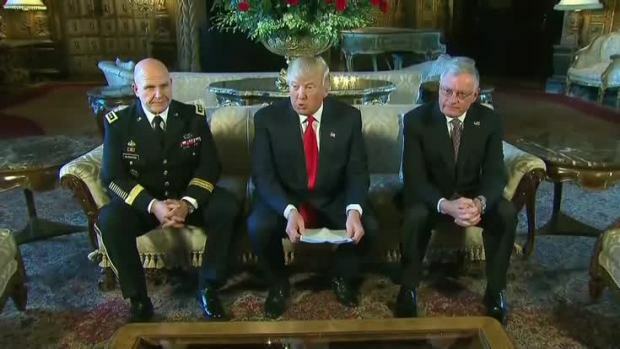 "I see my generals, generals who are going to keep us so safe," Trump said hours after he'd been sworn into office in January 2017. "They're going to have a lot of problems, the other side." He went on to describe the generals as "central casting. If I'm doing a movie, I pick you, Gen. Mattis, who's doing really well." Flynn has been cooperating with special counsel Robert Mueller's investigation into possible collusion between members of Trump's presidential campaign, on which Flynn served, and Russia. 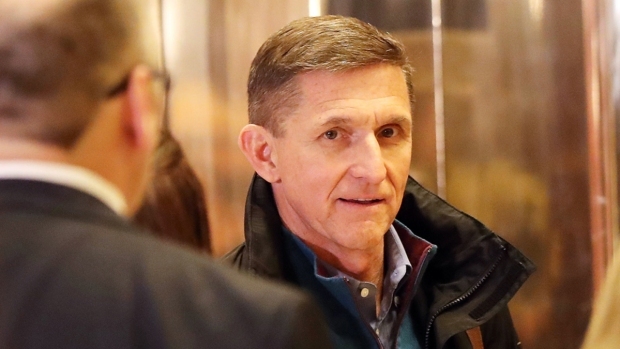 Flynn pleaded guilty to the federal crime of lying to the FBI and had been scheduled to be sentenced this week. Prosecutors even cited his extensive cooperation in recommending that he receive between zero and six months in prison as punishment. 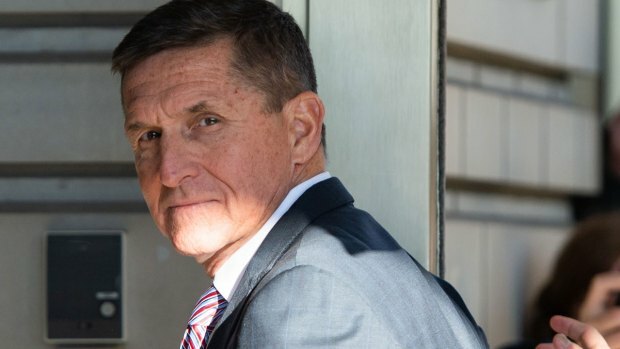 But the presiding judge abruptly postponed Tuesday's sentencing after telling the court he was disgusted by Flynn's crime of lying to the FBI and raised the unexpected prospect of sending the retired Army lieutenant general to prison after all. 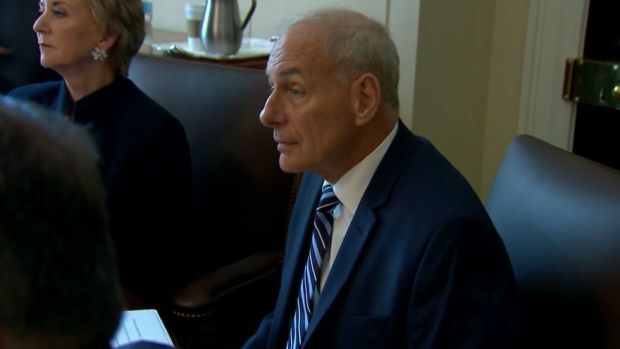 As homeland security secretary, Kelly's efforts to combat illegal crossings at the Mexico border eventually caught the eye of Trump, who had campaigned on keeping people from entering the U.S. illegally. Trump often praised Kelly during public appearances and ultimately looked Kelly's way after tiring of Reince Priebus as chief of staff. Not politically savvy, Kelly didn't help himself, either. He publicly questioned Trump's understanding of immigration, clashed with a Democratic congresswoman and mishandled the case of a White House official whose ex-wives accused him of domestic violence during their marriages, among other missteps. Speculation abounded that Kelly would be fired or resign. Over the summer, Kelly told senior aides he had agreed to Trump's request to stick around through 2020. But Trump announced this month that Kelly, in fact, would leave at the end of December. As the administration began, Trump openly gushed about his respect for Mattis, repeatedly calling him "Mad Dog," even though Mattis dislikes the nickname. But the two quickly clashed on major policy decisions. Mattis disagreed with Trump's assertion during the campaign that torture worked, and the secretary voiced support for NATO and similar alliances that Trump repeatedly criticized. Further, Trump chafed at the Pentagon's slow response to his order to ban transgender people from military service, an effort now stalled by multiple legal challenges. More recently, Trump disregarded Mattis' choice of Gen. David Goldfein, the Air Force chief, to be the next chairman of the Joint Chiefs of Staff. The current chairman, Marine Gen. Joseph Dunford, is set to retire in October. Trump instead tapped Gen. Mark Milley, the chief of the Army. Mattis has deliberately kept a low public profile, striving not to make headlines that would incur Trump's ire. But he told Trump in a letter Thursday that he was leaving because "you have a right to have a Secretary of Defense whose views are better aligned with yours." Trump tweeted that Mattis is retiring at the end of February "with distinction." Trump announced the pick from a sofa in the ornate living room of his Palm Beach, Florida, estate, praising the then-active-duty Army lieutenant general as a man of "tremendous talent and tremendous experience." McMaster had commanded troops in both U.S. wars in Iraq and was a prominent military strategist. But he failed to develop a personal rapport with Trump, who was said to be bored by McMaster's long-winded briefing style. 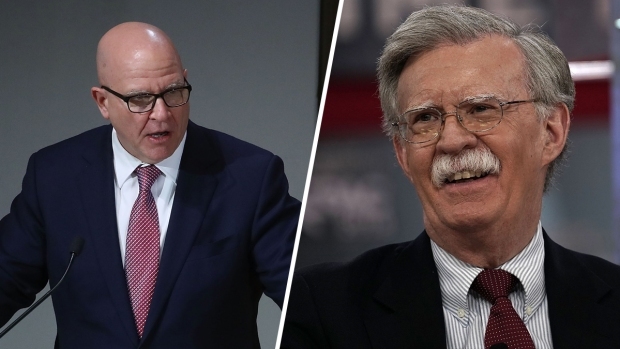 McMaster's influence in high-level decision-making began to wane after Trump increasingly began to rely on advice from Kelly and Mattis, who had pushed for McMaster's ouster. His fate appeared sealed after Trump dumped his first secretary of state, Rex Tillerson, a McMaster ally, in March. The White House said McMaster's exit had been under discussion for some time and said no single incident was to blame, but the public friction between Trump and McMaster had been growing.